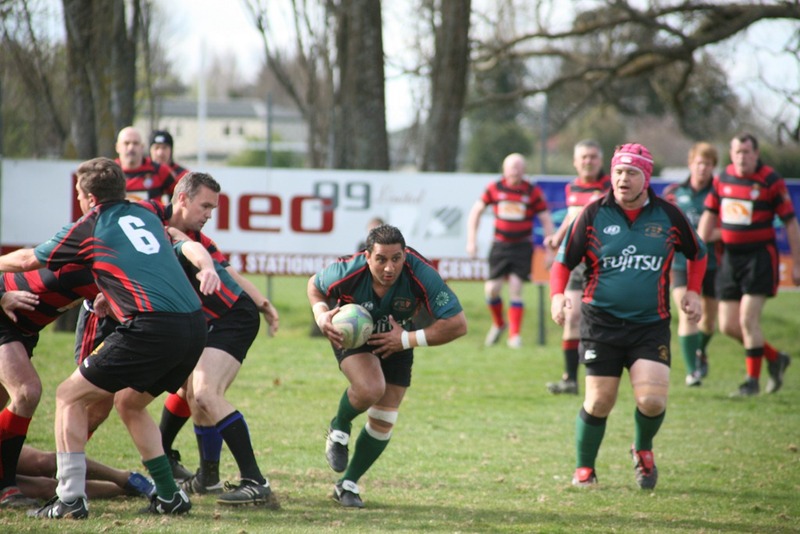 Our original itinerary had us flying to Christchurch on Saturday morning to watch England take on Argentina but the earthquakes of the last twelve months meant that the game had been moved further south to Dunedin. We made the decision to stick with our original plan to play a game against Christchurch Rugby Club and show some support to the city. The flight from Auckland passed over some beautiful scenery and as we landed in Christchurch the snow-covered mountains provided a dramatic backdrop. 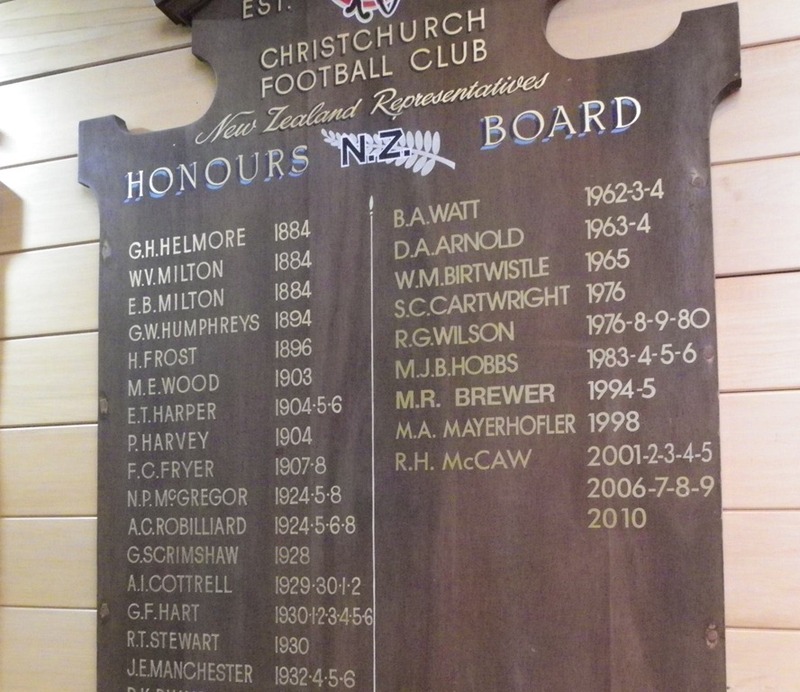 A short coach ride saw us arrive at the Christchurch club, the home of All Black captain Richie McCaw, which has a really enterprising setup. 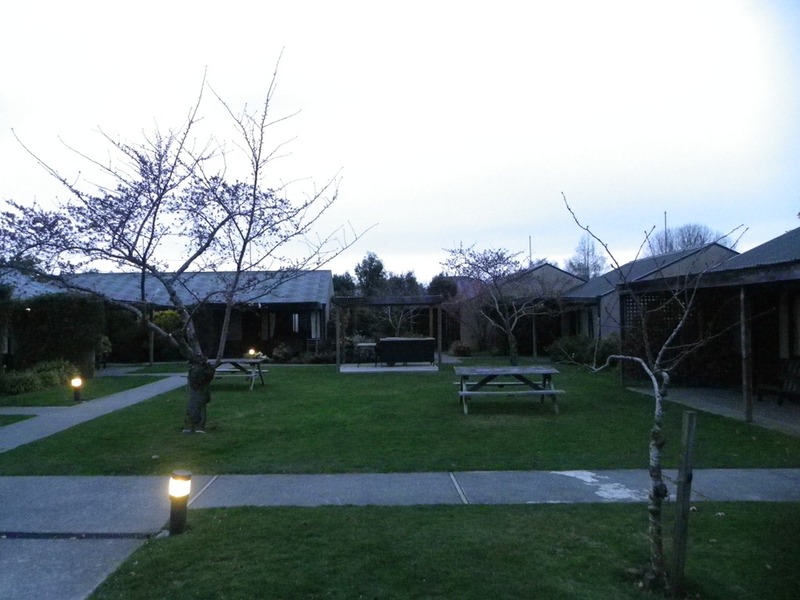 It is not just a Rugby Club but a Conference Centre and Motel too. The clubhouse is similar to many you would find in England with a bar, function room and viewing gallery, but there is also a large dining room or conference area which would easily cater for 100 people or more. To one side of the ground are eight chalets each with two twin rooms, a living room, kitchenette and bathroom, and another bed in the living room so up to up to 40 people could be accommodated comfortably. The chalet complex iincludes a small swimming pool, a laundry and a barbecue area. Perhaps I should encourage the RFU to fund similar facilities in the UK! An old friend of mine emigrated to Christchurch eight years ago so we met up for lunch in the city where he told me all about the traumas of the past year. The first earthquake in September happened in the middle of the night and there were hardly any injuries or fatalities. However, the second in February struck mid-afternoon and although lesser in force it caused mayhem as people were out and about. Those that stayed indoors generally survived, most of those that died were outdoors and were hit by falling debris, etc. He was in Dunedin at the time but his wife and son were in central Christchurch and it was a very worrying time. Fortunately they came through unscathed. The third earthquake in June destroyed those city centre buildings that had previously survived and it is only now that the long process of rebuilding is having an effect. You have to admire the stoicism of the Christchurch people as they try to go about their lives with the city centre still closed off, the roads a patchwork of repairs and the effects of liquefaction covering everything with a fine grey dust. It was against this background that the Parliamentary Lions’ game against the Christchurch Gentlemen took place after a bracing glass of port for the players. The Lions were down to a bare fifteen fit players while the home side had reserves galore, but as ever the game was played with the greatest spirit, Christchurch winning 25-15. The hospitality after the game was very generous and the after-match presentations and speeches poignant. The Lions made a donation of £1500 to the city mayor’s rebuilding fund. The club had laid on a big screen for the England versus Argentina game which was frustrating to watch, but ultimately World Cup Rugby is about getting through to the next game with a few injuries as possible and that is what England achieved. We had an early start in the morning and fortified with bacon rolls thoughtfully and generously provided by club volunteers we headed for the airport via the fenced-off perimeter of the city centre. The journey was made in silence as we saw first-hand the devastation the earthquakes had wreaked on such a beautiful and proud city. To describe the scene as a war-zone underestimates the power of nature to destroy indiscriminately and without warning. 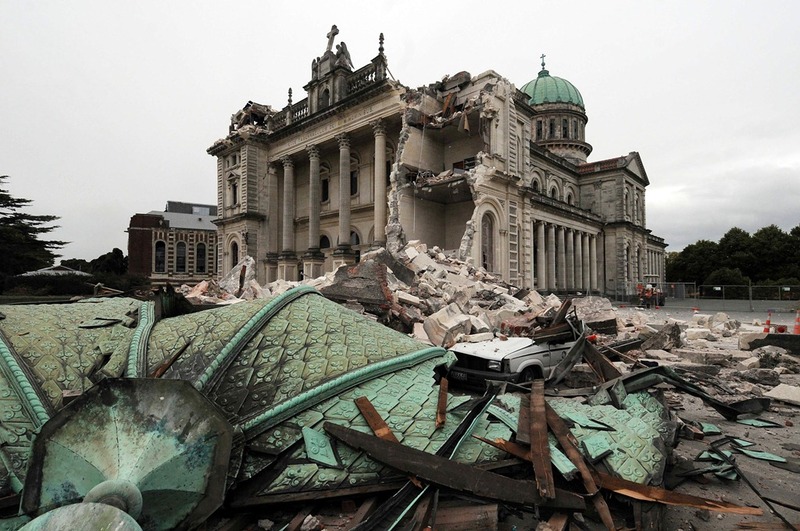 I hope that one day I will be able to return to Christchurch to see it restored to as it once was. Well written Andrew – looks like the trip is going well!! Actually Steve we got back on Wednesday afternoon. I finished this article on the plane and uploaded it when I got home. There is one more to go which I might do today with a bit of luck..